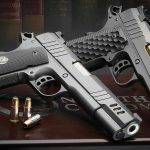 Nighthawk Custom's 'Boardroom' series of pistols just got its second member with the addition of the truly spectacular Nighthawk President. 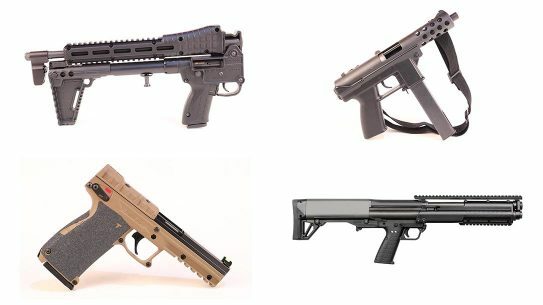 The standard stocks are the aggressive G-10 Railscales, but Nighthawk also offers VZ’s 320 pebble-textured stocks with the Moonhawk logo medallion. 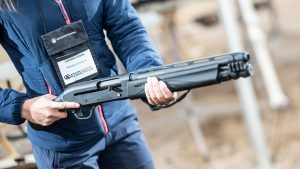 Testing the President at the 2018 Athlon Outdoors Rendezvous. 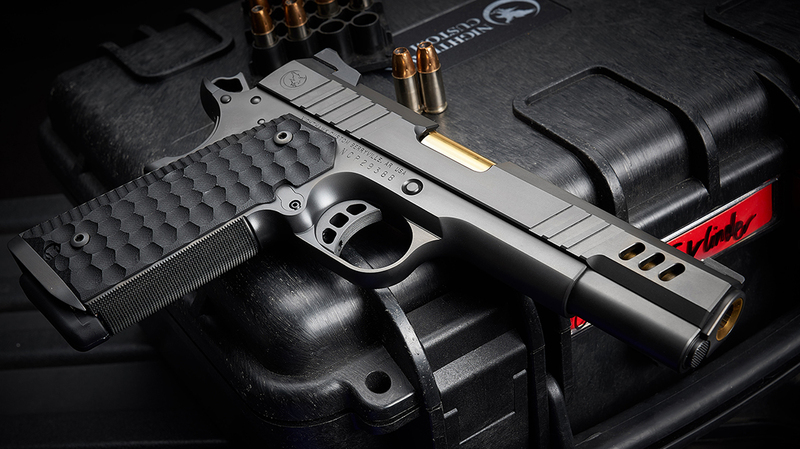 At the heart of the President is the same quality components found in every Nighthawk pistol. 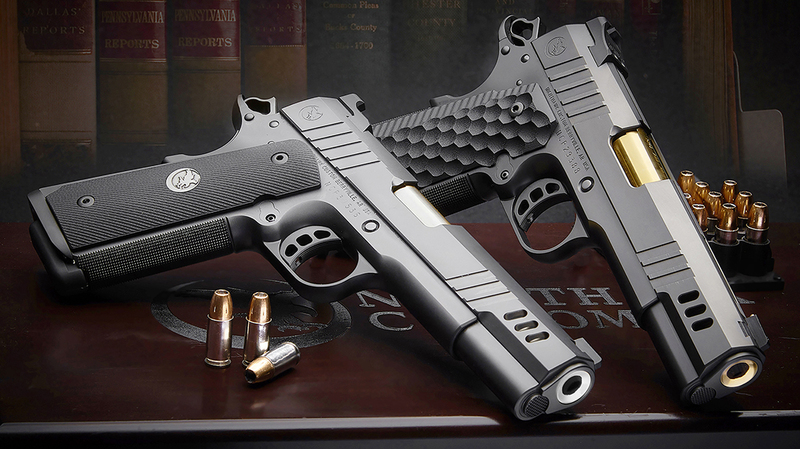 The President is the second addition to Nighthawk Custom’s “Boardroom” series. The President comes with a gold, match-grade barrel. The President features a unique slide configuration that includes “heavy angle lighting cuts” on each side. 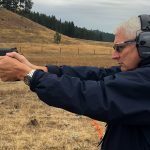 I just returned from the 2018 Athlon Outdoors Rendezvous, held outside of Missoula, Mont. It was there I got the first look at the second addition to Nighthawk Custom’s “Boardroom” series: the Nighthawk President. 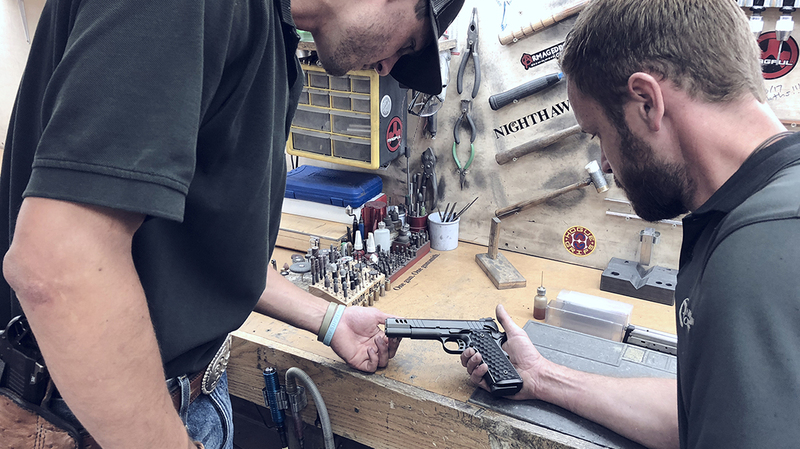 At last year’s Rendezvous, Nighthawk gave writers a preview of the new Chairman model that was the first in the Boardroom series of pistols. 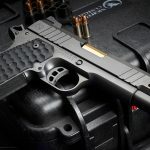 The Chairman is a full feature, long slide 1911 in 9mm. 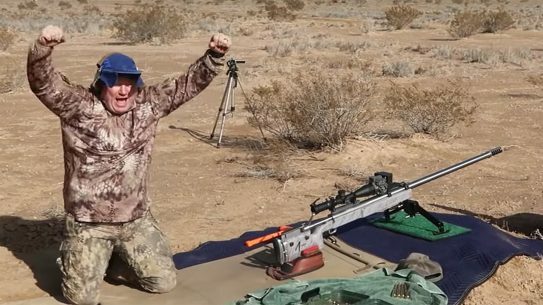 It proved to be very popular and soon there was a friendly competition, between several of us, to see who could hit a steel target at 200 yards. 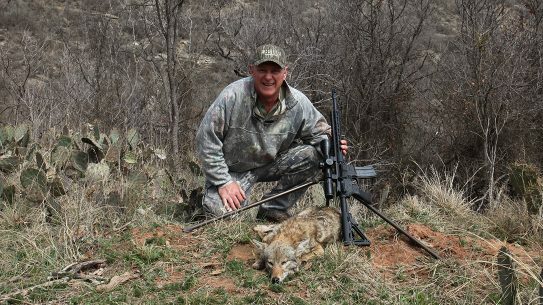 Fellow gun scribe and photographer extraordinaire, Sean Utley, showed us all up. The President builds upon that beautiful Nighthawk performance we all saw in the Chairman. The President is a standard 5-inch Government Model version of the Chairman. 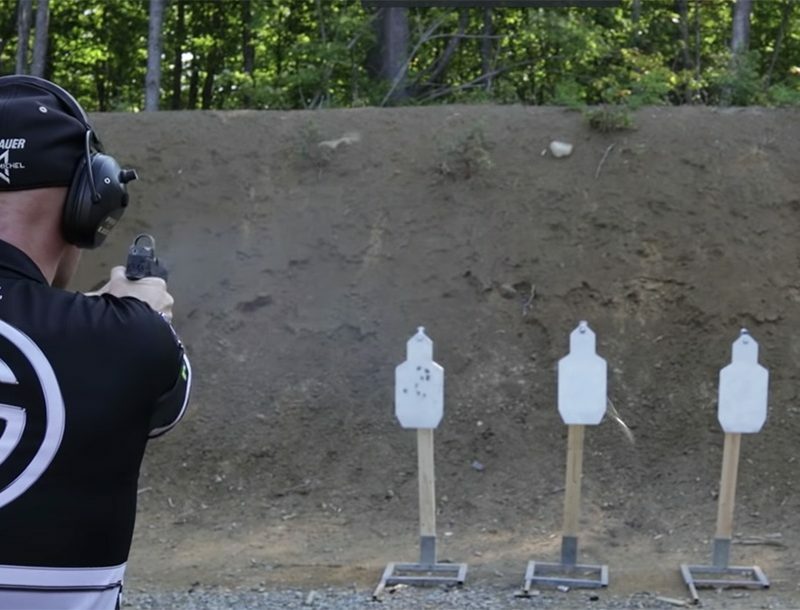 It is a feature-rich pistol that represents the best of Nighthawk’s components, craftsmanship and creativity. 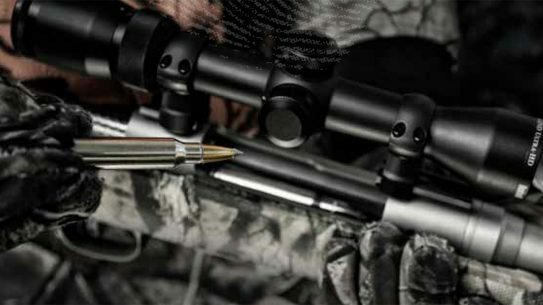 Like the Chairman, Nighthawk designed the President to attract a new generation of shooters. And again, like the Chairman, the President proved to be a hit. 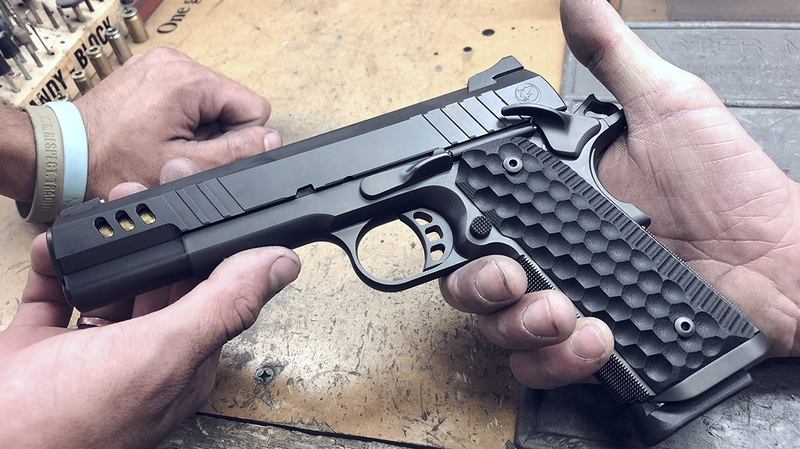 At the heart of the President is the same quality components found in every Nighthawk pistol, with no MIM or polymer parts. 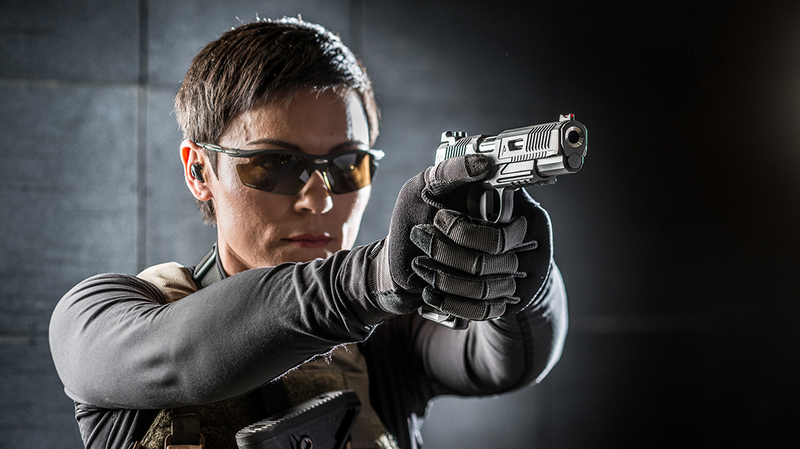 The President features a unique slide configuration that includes “heavy angle lighting cuts” on each side and more aggressive forward and rear cocking serrations. The top of the slide received a tri-cut treatment with serrations and a narrow lighting port. Just forward of the dust cover, the slide has ball end mill cuts that are beveled to blend with the recoil spring tube. As with the Chairman, the President comes with a gold, match-grade barrel that is flush cut with a deep-recessed crown. 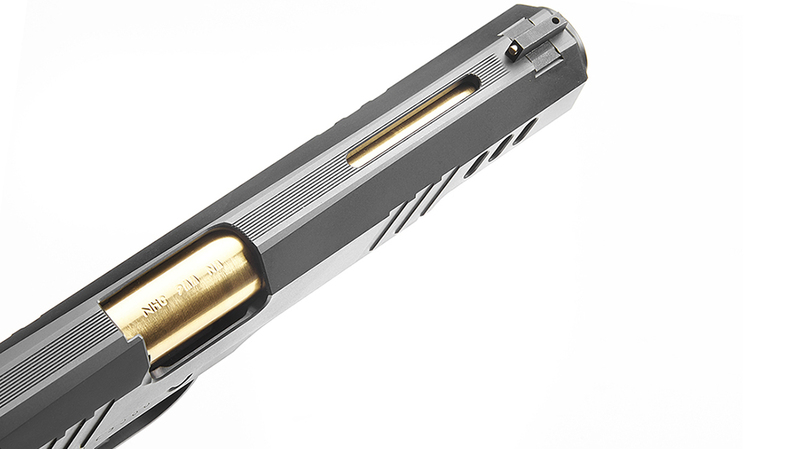 A silver barrel is also available for customers who want a more subdued pistol. Nighthawk paired a Heinie Ledge rear sight with an 18K gold bead front sight. 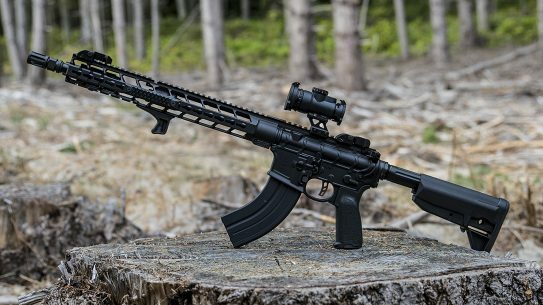 The frame is pure Nighthawk and has its well-designed, one-piece MSH/Mag well that perfectly blends to the frame. 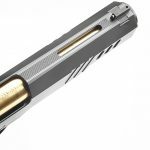 The frame features an “ultra hi-cut” front strap, and both the front strap and the mainspring housing have 25 LPI checkering. 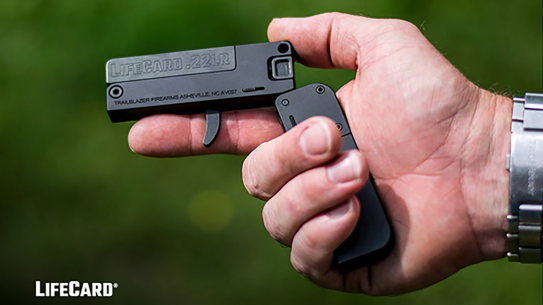 A lightweight, aluminum tri-cavity match trigger, along with Nighthawk’s excellent designed slide stop and safety, all make for a positive shooting experience. The entire pistol, outside of the barrel, is finished in a very attractive DLC finish. 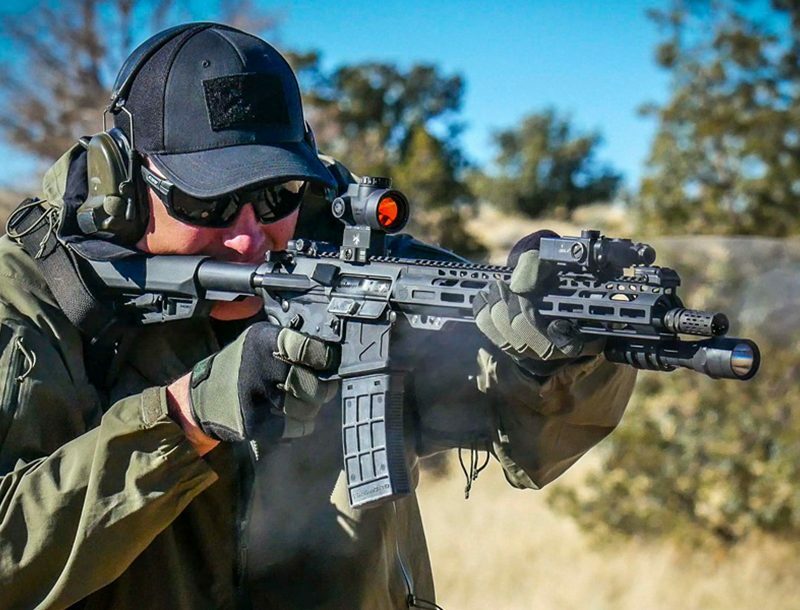 Range time at Rendezvous was at a premium this year with 10 shooting stations that everyone rotated through. 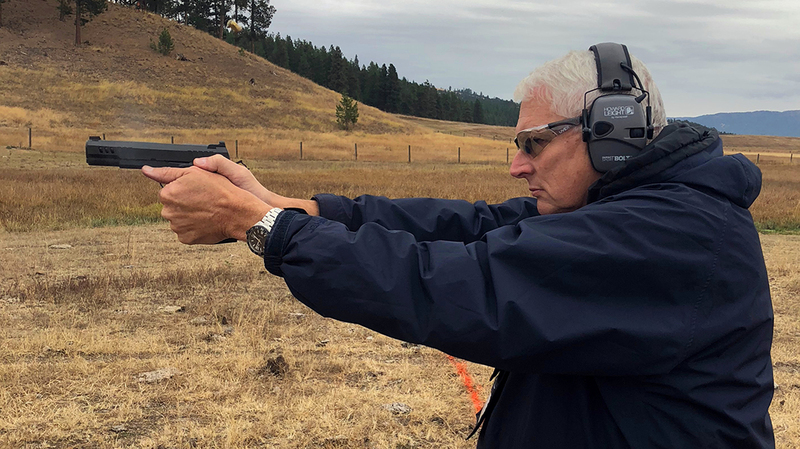 I was able to run about 100 rounds through the President and engaged steel from 20 yards out to 100 yards. 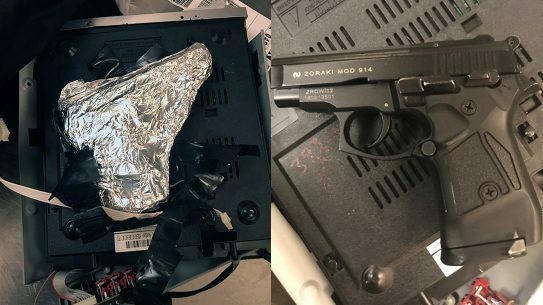 Both the 9mm and .45 ACP model ran flawlessly. While the Railscale stocks provided an aggressive grip, I really liked the VZ 320 stocks with the medallions. They gave the President a more refined and sophisticated appearance. I really applaud Nighthawk for opting for a gold bead front sight over a fiber optic. 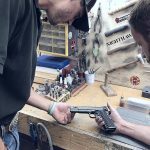 It is the finishing touch for a top-of-the-line pistol. 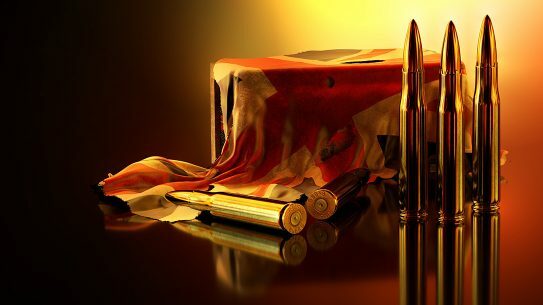 As with all full-size, 9mm models, the President is available in a double stack model for an upgraded charge. 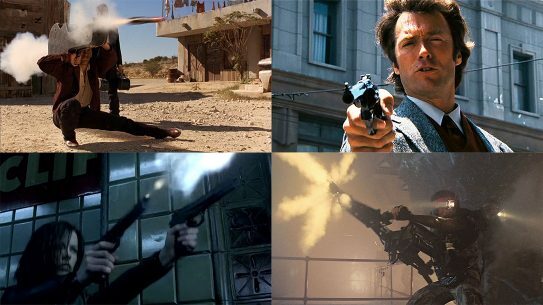 Both the 9mm and the .45 ACP share the same MSRP. 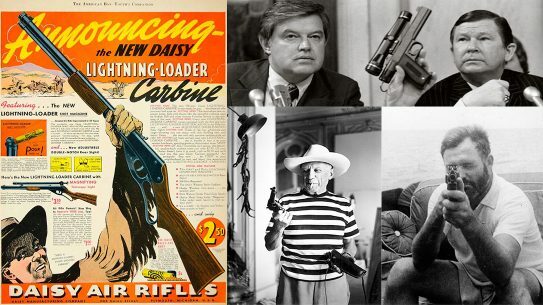 For an additional charge, the President can be ordered in .38 Super and 10mm. 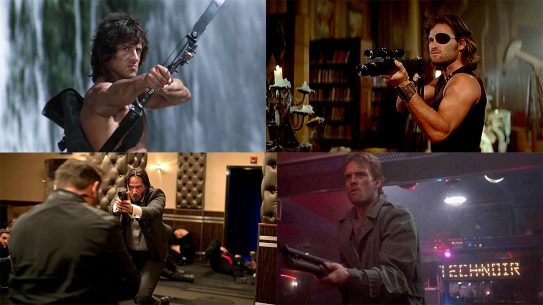 The President is the second in the Boardroom line of Nighthawk pistols, but I suspect it will not be the last. 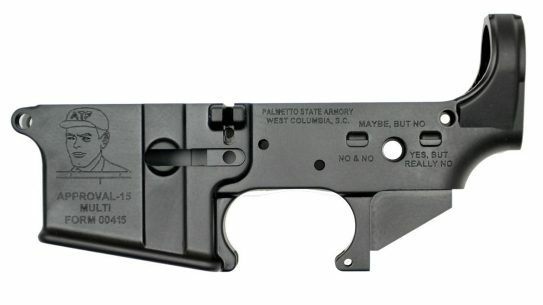 I can easily see this line progressing to a Commander size pistol. 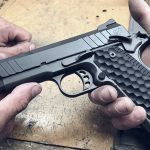 For more information, check out all the Nighthawk Custom pistols at NighthawkCustom.com.